WASHINGTON (Nov. 12, 2008) – The National Automobile Dealers Association (NADA) supports proposed legislation announced today by U.S. Sen. Barbara Mikulski, D-Md., which seeks to stimulate the struggling economy by boosting retail automobile sales. Today at a suburban Maryland dealership, Sen. Mikulski proposed granting a tax incentive for consumers who purchase a new car or truck. New vehicle owners would be able to temporarily deduct sales and excise taxes as well as interest on auto loans from their income taxes. 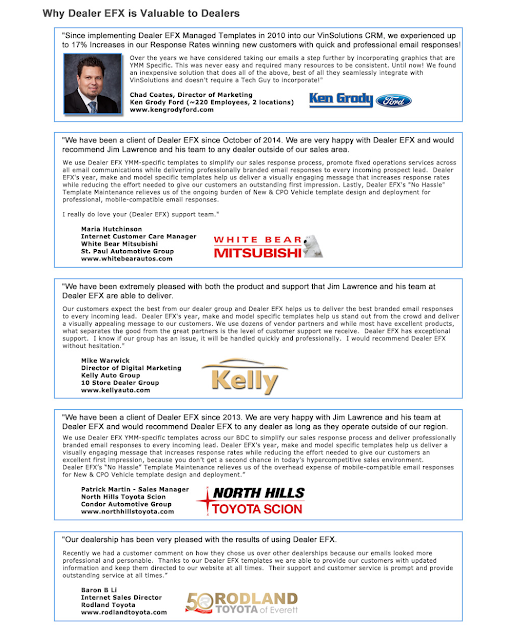 (View the arguments in favor of tax incentives for car buyers from Sen. Mikulski). "Congress and the President must consider leveraging the incredible economic engine of the automobile industry to jump-start our shaky economy," added Sykora. The "Auto Ownership Tax Assistance Amendment" would make interest payments on car loans temporarily tax deductible for the remainder of 2008 through the end of 2009. Congressional leaders have indicated that consideration of a post-election stimulus package is possible to provide emergency assistance to the struggling auto industry. Prior to the 1986 tax reforms, taxpayers were able to deduct auto, credit card and other types of debt from their annual tax bill. Additionally, NADA suggested a "cash for clunkers" program to create an economic and environmental benefit by getting older model vehicles off the road permanently. Up and successfully running in several states, the initiative offers cash incentives for people to trade in older vehicles and purchase new cleaner and more fuel-efficient cars and trucks. "With great deals and incentives on vehicles, credit is available for consumers through a network of local banks and with some of the highest quality and fuel-efficient vehicles available ever, we just need to give the consumer the motivation and the confidence to visit their local dealership to see that a new car purchase is in reach," Sykora added. NADA, founded in 1917 and based in McLean, Va., represents about 20,000 new-car and -truck dealers, with nearly 43,000 separate franchises, domestic and import. The Automotive Digital Marketing (ADM) Professional Community website serves Car Dealers and their management teams, including Internet Sales Managers, BDC Managers, Marketing Managers and Sales Managers. ADM is also a proven resource for OEM Interactive Media and eBusiness Managers who want to see, hear and read what the best Digital and Interactive Marketing professionals in the automotive industry have to say about relevant and timely topics. ADM is a great place for Tier 1, Tier 2 and Tier 3 Automotive Advertising Practitioners, as well as Web Site Managers, automotive software Developers and Solution Designers to get new ideas and stay up to date. ADM also serves Automotive CRM and Lead Management Tool developers and their sales professionals as an online exchange for strategy, tactics, best practices, files, resources and contacts within the auto industry.